There may have been an HSP Gathering near you…. and they may be one near you in the future? The HSP Gathering Retreats™ allow for the collective creation of a gentle, nurturing space where through education, reflection, inquiry and sharing we create a sense of self-acceptance and empowerment about who we are as HSPs. Within this compassionate community, comes the opportunity to discover and step into the beauty of your unique HSP self, while we enjoy the splendor of nature, nourishing food, and HSP soul friends. 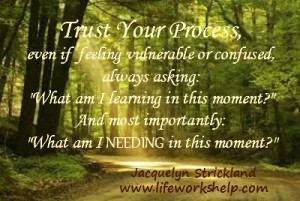 Most of us have done much reading about what it means to be an HSP. 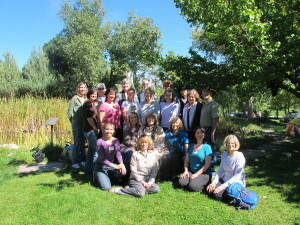 However, few have had the opportunity to experience what it is like to BE an HSP within the context of “being with other HSPs.” This, in itself, is a unique and rewarding learning experience for each of us, and perhaps there is no better place to do this than the HSP Gathering Retreats. Here you will have a chance to immerse yourself into a group of HSPs for four days in a nature-oriented retreat setting where we will focus on our HSP selves from an individual, holistic, community, and cultural perspective. This, in itself, is an amazing experiential learning opportunity, and one that hopefully empowers us as we return to our daily routines and lives back home. The specific content of the information you receive at the Gatherings, although important, is not the main focus … because after all, there are now thousands of websites, articles, courses and social media pages which answer all kinds of questions such as: Just What IS an HSP? How do I know if I am one? ? What is An HSS? There is information on empaths, coping with stress, anxiety, over stimulation, relationships, depression, work issues, loneliness, and the list goes on. 29th HSP Gathering Retreat – 7 – 11 May in Goehrde Duebbekold Germany with Elaine Aron joining us in person on 10 May. Elaine Aron will join us via teleconference at the 30th and 31st HSP Gatherings. 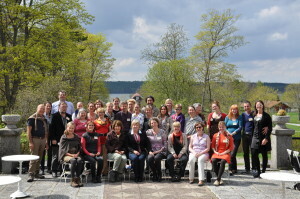 In May 2013, the 26th HSP Gathering Retreat was held near Stockholm, Sweden. There were 28 HSPs from 15 different countries ! I could easily say this was the best and my favorite of all the HSP Gatherings — but that would be like saying: “I prefer one child over another” and that’s just impossible to do. 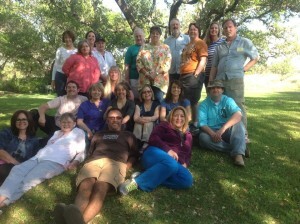 Gathering Retreat was held in the Hill Country of Texas from Sunday, April 30 – May 4, 2014. So, after all these years it is now that I realize that I am an HSP, or at least I believe I am. And despite therapy and pushing people away, I need to resolve this within myself. Is there medication, supplementation that can suppress this sensitivity within me. 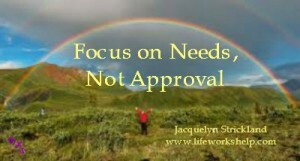 I am tired of crying, feeling depressed, and limiting myself of my highest potential. Secondly, it is important to know that HSPs, just like the other 80% who are not HSP, can be subject to experiencing low energy, lack of motivation, and feelings of depression, isolation, or crying spells. And we HSPs are not the only ones who may be frustrated with limits imposed on us by external factors. What are these external factors? Is this true depression? Dysthymia? Lack of self care? Lack of adequate nutrition? It is different for each of us. There are no supplements or medication which can “cure” our SPS trait, because it is not a diagnosis, so there is nothing to cure. As shared before, there is only information which, when discovered and applied to our daily lives, can make living as a highly sensitive people easier and more enjoyable. Not an easy thing to do, but definitely possible and definitely worth the work and journey. Your next opportunity to join in a HSP Gathering Retreat will June 1-4, 2017 … in beautiful Santa Barbara, Californnia ! How do I find out when/where the next gathering is, and what may I do to get invited? I discovered HSP and my own HSP-ness about 3 months ago. I am working through the Brain Training book by Julie B with good results and finding that I am more sensitive than I had admitted to myself during the self test. I am very excited to find my tribe and believe that I am likely an extroverted HSP, so gathering, yay! Thanks for reaching out ! It would be lovely to have you the 36th HSP Gathering Retreat next September !